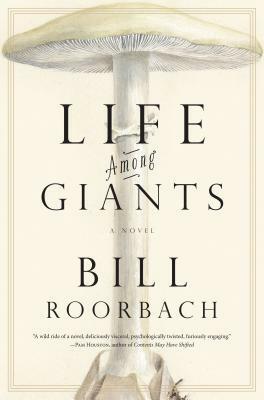 Life Among Giants, by Bill Roorbach. Bill Roorbach is an artist of the human heart, but as a writer, he is pure craftsman. You can see the workmanship in his prose the way you can see it in good handcrafted furniture. Sure, there are moments in this novel where I caught myself thinking, “Oh, I see what you did there,” but I don’t think this is a bad thing: indeed, reading this novel is an education is crafting a story. Still, as a meal, the novel is immensely satisfying, and the characters at play here — from hyper-literate football hero Lizard (our narrator) to his obsessive bipolar sister to the mysterious and alluring dancer (Sylphide, what a name!) to the delightful if a bit caricatured butler Desmond to the con-man father…. The characters stay with you no matter what you might think of them, so alive they become. The setting, too, is exquisite: whether you’re in the extravagant High Side or dense New York or sweaty, spicy Miami, the world this novel lives in is rich and alive, teeming with history and atmosphere. Overall, Life Among Giants is a wonderful read, a perfect bridge between easy commercial fiction and quick, smart literature, and I will gladly recommend it to everyone I know. I may use this phrase when I review on GRs.